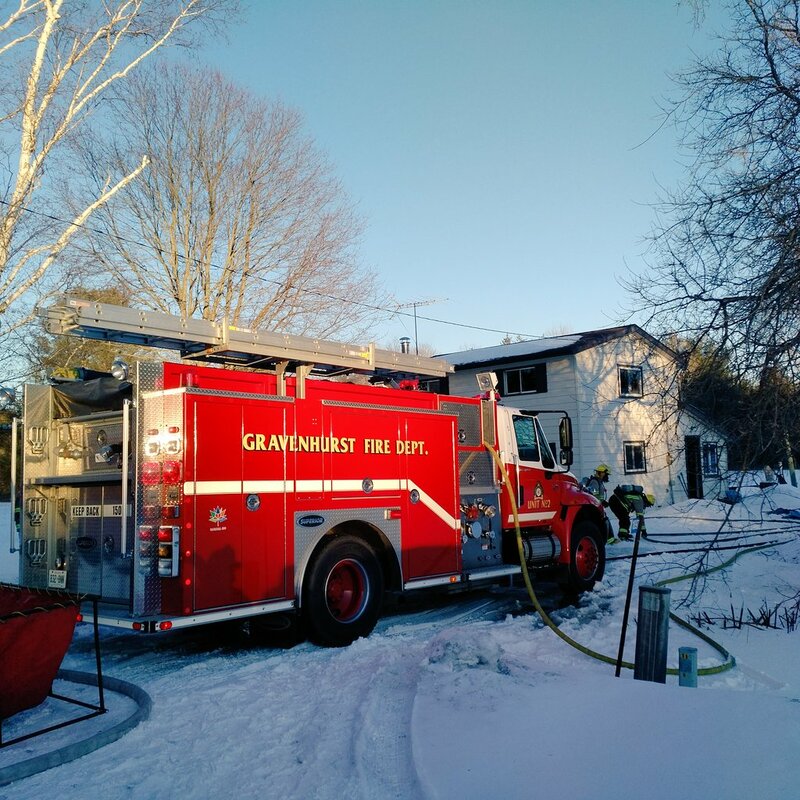 A 32-year old woman who was rescued by Gravenhurst Fire fighters Saturday afternoon was admitted to hospital in serious condition after a passing motorist noticed smoke coming from a house. 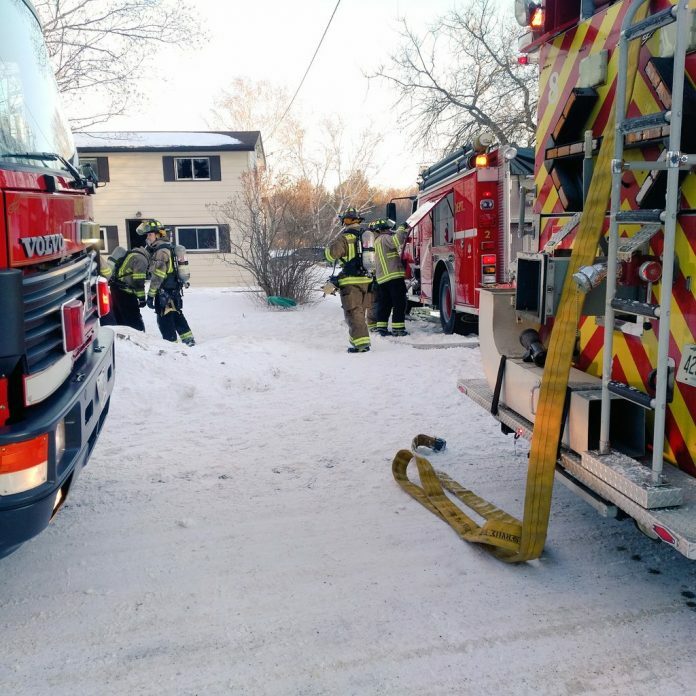 Fire crews from Stations 1 and 2 joined their counterparts in battling an intense fire that was centred in the living room of the home. The fire burnt through the floor and heavily damaged the contents of the first floor. “Crews did a fantastic job searching the home for other occupants while gaining control and extinguishing the fire,” said Brassard. No other occupants were found, but four cats were also pulled from the fire. Only one survived and was turned over to relatives. Six trucks and two command vehicles responded to the fire along with 20 firefighters who remained at the scene for several hours. The fire caused an estimated $75000.00 in damage and the cause of the fire is being attributed on careless use of smokers materials. “Smoking continues to be a leading cause of fires in Ontario, and those who choose to smoke need to recognize the very real dangers that smoking indoors can create. These fires don’t only happen to someone else and they can have very real, sometimes deadly consequences” . Nice job GFD! Hope all are well! Again hard an fast training kicks in and you got the job done.